Funded by donations from LSE Alumni, our Undergraduate Research Internship Scheme and the LSE Internship Fund provide our undergraduate students with the exciting opportunity to enhance their studies and time at LSE. Below are some reports from previous interns about their experiences. Follow this link for more information and how to apply. 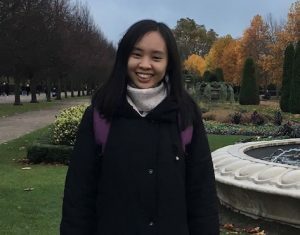 I had the unique opportunity to participate in the LSE International Relations (IR) Department Futures Research Internship this year, assisting Professor William A. Callahan in his book project on ‘Visualising Global Politics’. For this project, my role as a research assistant was centred on assisting Professor Callahan with research about China relating to the broader theme of visualising and the visual element of international politics in his project. Most of my work consisted of reading material or doing web research in Mandarin and providing Professor Callahan with translated summaries of the relevant material. I really enjoyed the research internship and found it a very rewarding experience. The internship with Professor Callahan challenged my initial expectation of research, moving beyond reading conventional material such as texts and journal articles. It was interesting to research a wide range of topics from Beauty Pageants to ethnic minorities, some of which appeared to have no direct connection to international relations, yet presented many opportunities to gain new insights to be applied to international relations. Beyond the texts and conventional materials, through this internship I learned how it is important to look to a variety of wide-ranging sources and topics for inspiration and to draw insights from these different fields for IR. The internship also developed and improved my existing skills in research. In particular, I had my first opportunity to read a text in classical Chinese for academic purposes. Although it was quite a lot of effort initially, I enjoyed the experience because it was also a significant achievement for myself, expanding the scope of materials that I can now access for information. Through the research, I gained new insights and a fresh perspective of international politics that is more practical and evident in the world, especially in seeing how actors unwittingly contribute to international politics through their interactions with one another. It was also meaningful to engage more with empirical experience in the real world, demonstrating that reality not only supports theories but also supplements and expands on these theories. Overall, the internship broadened my knowledge of what it means to do research, expanded my knowledge of the field particularly about China, and introduced new perspectives from which to study international relations. I am very grateful to the IR department for initiating this program for undergraduate students, providing us with unique learning opportunities beyond the classroom. 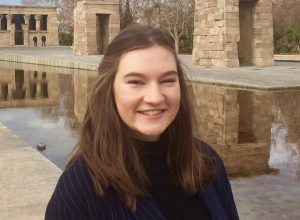 The international relations internship, led by Dr Milli Lake, focused on gender security in the context of an intimate partner violence prevention programme in the Democratic Republic of Congo. The project examined processes of norm diffusion and transformative changes in gendered behaviour following a gender accountability outreach program. The aim of the program was to provide a platform for Congolese citizens to engage with the idea of gender inequality arising as a product of culture and socially constructed identities as opposed to a ‘natural’ order. My role in this project was to analyze interview transcripts and field observations of these sessions and then code them according to key themes. I then had to extrapolate the themes from the transcripts and analyse them to deduce trends and differences across six different village sites. These similarities and differences were compiled into short weekly reports and sent to the project team leader. My findings in this project strongly exposed me to the social, cultural and religious forces that constitute identities and shape gendered behaviour and attitudes. It was intriguing to see how these socially constructed identities, closely aligned to economic conditions, created specific role expectations that both men and women were expected to fulfil. The most interesting aspect of the project was tracing the way in which individuals employed religious scripture to justify the subordination of women in the household and in society. For example, a transcript which particularly stuck with me was a man justifying the delegation of all household tasks such as cleaning, cooking and child care to his wife by virtue of the women being created from ‘Adam’s rib’ and thus inherently inferior. Overall, the internship provided me fantastic exposure to advanced qualitative and quantitative research techniques. Developing an effective coding strategy required being trained on Dedoose, a research software tool which allowed me to process large volumes of information and graph key trends. The project also cultivated my communication and organisational skills when liaising with the coding team and senior team leaders on a weekly basis. Similarly, the internship also improved my understanding of gender studies as a school of thought which was highly transferable to my IR modules. I thoroughly enjoyed engaging in this internship and would highly recommend it. 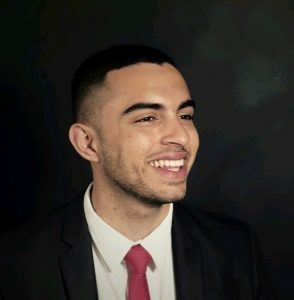 During the summer which followed my second year at LSE studying International Relations I undertook a full time two-month internship at LatinNews which was supported by funding from my department. LatinNews provides expert political, economic, and security analysis on Latin America and the Caribbean in the format of daily analysis and more detailed weekly and monthly issue-specific reports on developments in the region. LatinNews appealed to me principally because of my interest in Latin America as well as the flexibility and responsibility they grant to their interns, which is facilitated in part by the smaller size of the organisation. However, as is the case with many small companies, LatinNews’ internships are unpaid work experience, so I applied to the International Relations department’s internship fund to ensure that my living costs in London would be covered for the duration of the internship. My time with LatinNews itself was a really great experience, I wrote analysis pieces for the daily briefings on developments in the region as well as carrying out in-depth research for monthly reports. Throughout my internship I was given a wide variety of choice regarding what I wanted to write about and research. The work was engaging and interesting and I certainly learnt a lot on subjects as diverse as the Nicaraguan military to mining in Bolivia! I also found the experience to be valuable because it has made me feel more confident in applying in my skills in a professional environment under some pressure. Looking ahead to applying for jobs in my final year, having had this experience, I now feel more self-assured and prepared for the process. The career destinations for LSE IR graduates vary greatly and for many IR students there are not many paid internship schemes to apply to which are also clearly relevant for the career path they are interested in. This internship fund, therefore, is extremely beneficial for those who want to get experience working with smaller organisations but cannot afford to live in London without financial support. I feel very grateful towards the International Relations department for enabling my internship and would encourage all students interested in the fund to apply. This year, I was an intern for Dr. Kirsten Ainley in the ESRC Strategic Network on Justice, Conflict and Development. The network aims to compare numerous aspects of different conflicts, and help their respective experts to acquire knowledge on all of them. The wars the network considers are that of Colombia, Syria, Sri Lanka, and Uganda. As an intern, I had several tasks. Using different databases, I compiled data on an array of indicators in order to compare the situation of the different countries. This involved working with a diverse body of data ranging from domestic politics to health and development. I also created timelines outlining major events of the four wars. Finally, I helped gather information for the drafting of each country profile for the network, and wrote one of the profiles. The internship was highly enjoyable. It was a great chance to better understand how academic research works outside of the classroom. From sorting through dozens of indicators to analyzing civil wars holistically, the work was both challenging and engaging. It also complemented my academic studies quite nicely. I developed empirical knowledge on conflicts not usually considered in my courses, which in turn opened up extremely interesting avenues of potential future research. The holistic consideration of the research was also a rather different way of analyzing issues. By looking at justice, development, and peace, and their complex interactions, analyzing the four conflicts provided refreshing analytical lenses to consider issues in International Relations. Overall, I would highly recommend participating in the IR Futures program! It provides a valuable opportunity to work with the renowned academic staff of the LSE and to build new skills that will prove useful for many years to come. This entry was posted in internships, report, student life and tagged internships, student news. Bookmark the permalink.